Today I'll be discussing more activities that promote hand separation. 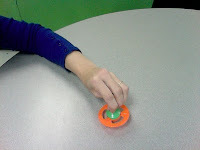 Spinning a top is one suggestion. Tong activities are also great to work on developing manipulation skills on the thumb, index, and middle finger side of the hand while working on stability on the pinkie and ring finger side. 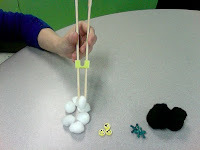 To prevent a child from trying to use the pinkie and index to help with manipulating the tongs, you can always have her hold a cotton ball or other small item with these fingers while using the tongs. This ensures that the pinky side of the hand is being used for stability! 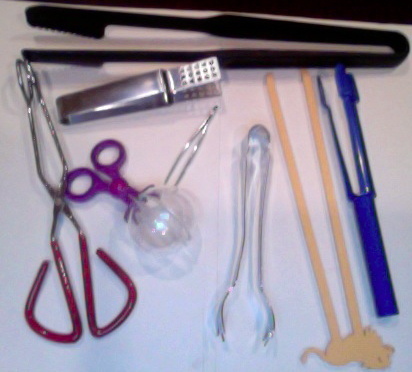 There are a variety of tongs that you can purchase, or you may already have some of these in your home! You can work on many different concepts with tong activities, such as having the child sort items of the same color, size, or shape. You can also purchase small beads with letters on them and have the child use the tongs to make words out of the letters. 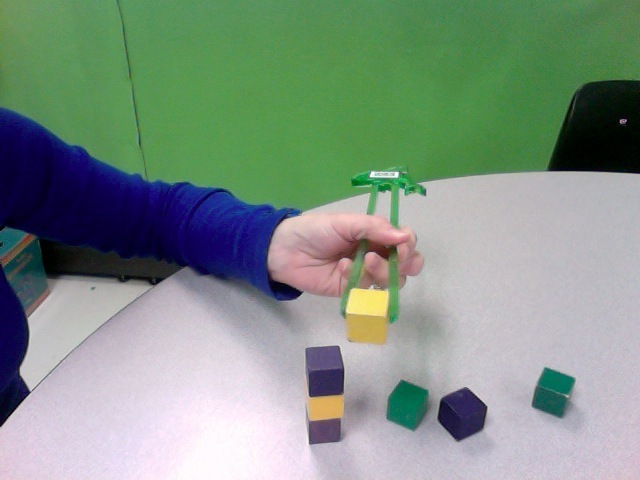 A child can stack blocks using tongs and even string beads! 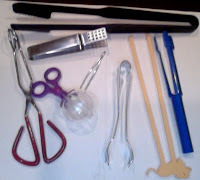 Get creative when it comes to using tongs by incorporating them into craft activities or using them to move game pieces! There's no limit to what you can do, and all the while the child is improving hand separation, which can ultimately have a positive impact on fine motor skills, including handwriting!